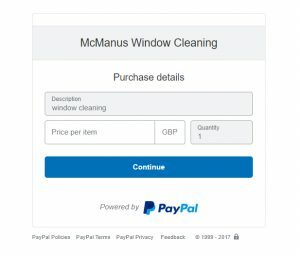 We ask that our customers only pay using this method when they have received an invoice from us. We will attempt to collect payment during the day when we are servicing your property. If you are out, we will call one evening that week between 6-8pm. If we have been unable to collect payment in person, we will then post an invoice detailing the amount outstanding, which can be paid online or by cheque. We advise our customers not to use the PayPal app when making future payments. Our Website is fully tested and updated regularly, however the PayPal app stores old account information in your phone which may no longer be correct. When making future payments, please continue to use our websites ‘pay now’ link above. Once you have clicked the pay now button. you will be taken to a form where you can enter the amount you wish to pay. Click where is says ‘Price per item’ and enter the amount outstanding that you wish to pay. At the login screen you have two options. 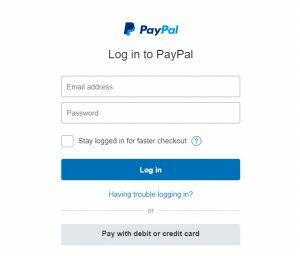 You can use your paypal account to pay your bill, by entering in your paypal email and password, then clicking login. Or you can pay using your debit or credit card by clicking the grey button, at the bottom. Please note, if you are using your paypal account, please make sure your address is correct within your paypal profile. Its this address we get from paypal to match the payment to your account with us. So if you have moved house and not updated your information with paypal, we may not be able to match the payment to an account, and the payment will be reversed.